Dubai Media Office has recently released an image of what Ain Dubai will look like when it’s completed by 2018. 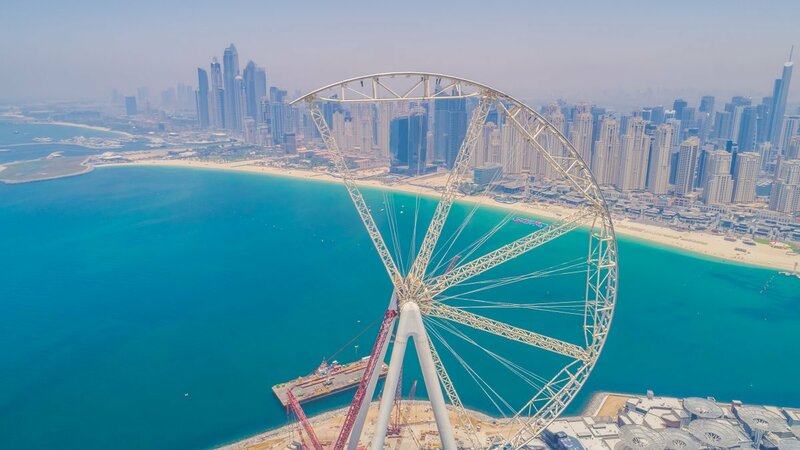 Ain Dubai (Dubai Eye) is expected to become the world’s largest Ferris wheel at 210 meters high. 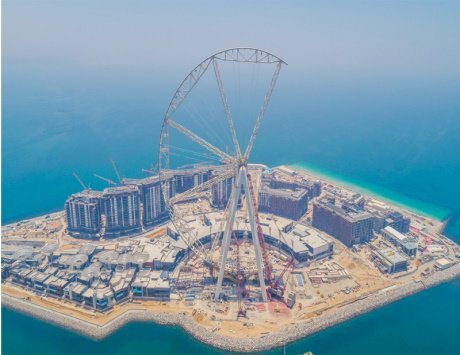 It will provide 360-degree views of Dubai’s famous horizon – Burj Al Arab, Dubai Marina, Palm Jumeirah, and Burj Khalifa. 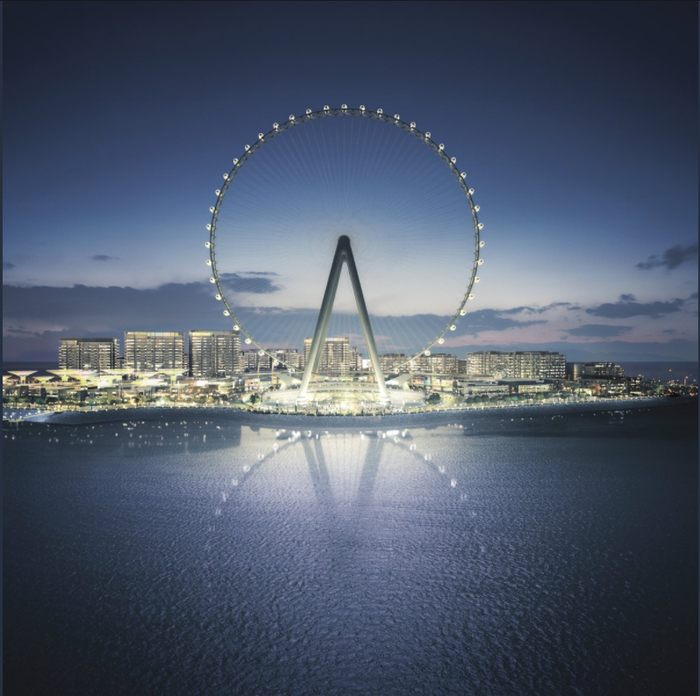 With its location upon Bluewaters Island, off the coast of Jumeirah Beach, Ain Dubai is set to be the crown jewel of this development. It will have the ability to carry 1,400 passengers at a time and make a full rotation in just 48 minutes.